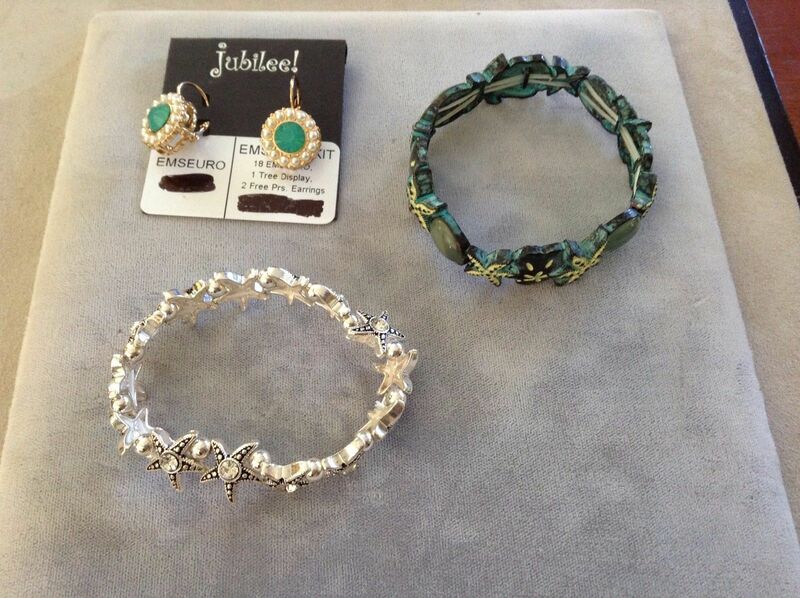 New Jubilee set with two bracelets and earrings. 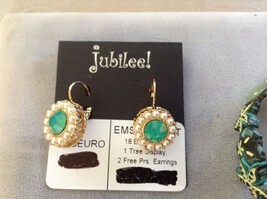 The earrings are gold toned with silver toned and sea green. 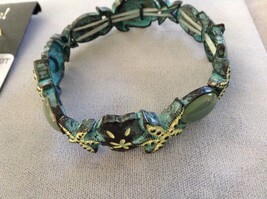 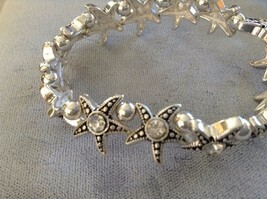 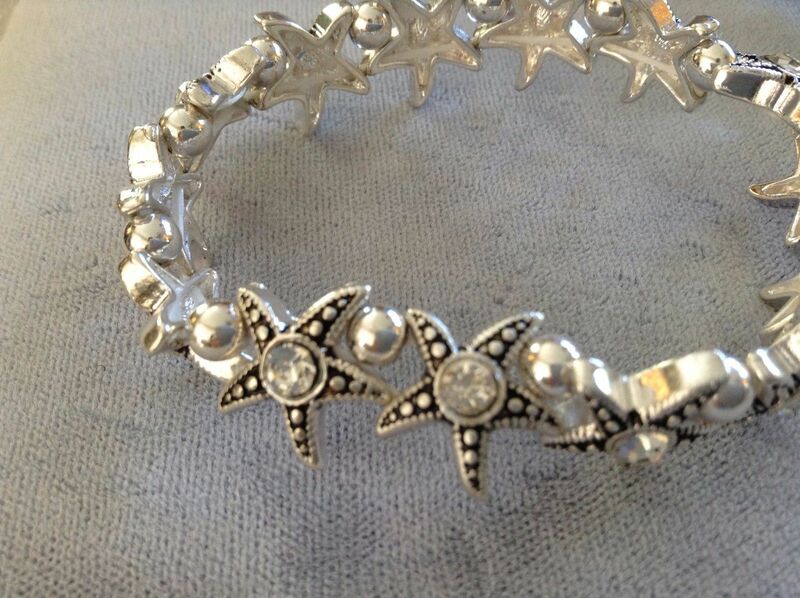 One bracelet is sea green with a starfish and the second is silver toned with a starfish. They are 2.5" in diameter.